AnyTrans builds up a lightning-fast bridge across your iPhone, iPad and computer, and allows every file flies freely to any equipment without sync-block. Share and enjoy, it's that simple. AnyTrans frees your iPhone music from iTunes restriction. Now you can conveniently sync selected music between iTunes library and your iDevice in both directions. Also you no longer have to worry about losing your current iPhone tracks when syncing your iPhone from computer. Not just syncing songs to your iPhone or iPad, now it's also possible to export any piece of music and video, from any iPhone or iPad, to your iTunes library and desktop. No iTunes, no limits, no blind syncs. AnyTrans opens a super-fast tunnel that enables two iDevices – iPhone, iPad and iPod of any type – to directly share media files with each other. Save a film on your iPhone, and enjoy it on your iPad with a single tap. AnyTrans makes it possible now to add new playlists to your iTunes library without even launching iTunes. On the other hand, you can also manage your iPhone's playlists directly, as no iTunes sync is required. 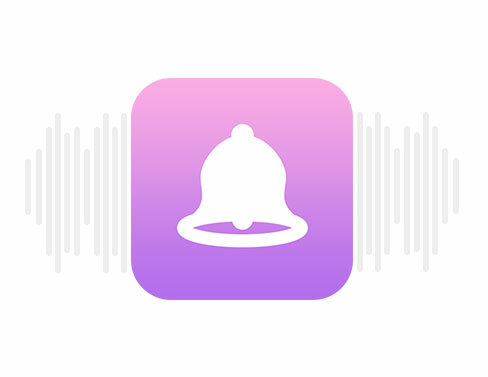 You can freely manage your iPhone playlists with simple adding and deleting songs. And reserve all music metadata like artwork, play counts, ratings and more, while sharing your music with iTunes library or to another iPhone or iPad. Ringtones represent your personality. So AnyTrans expands your options to turn your favourite songs into your exclusive melody. It can automatically intercept the first 40 seconds of an audio file when it's transferred to the ringtones folder. Then you can enjoy it among your iPhone ringtones. AnyTrans allows your iPhone and iPad to play up any video from anywhere. Because it smartly trans-codes all incompatible formats, such as MKV, AVCHD, M2TS, WMV and AVI and make them playable. Moreover, it also offers options of output resolutions to help you choose the best file size on account of your iPhone or iPad storage. 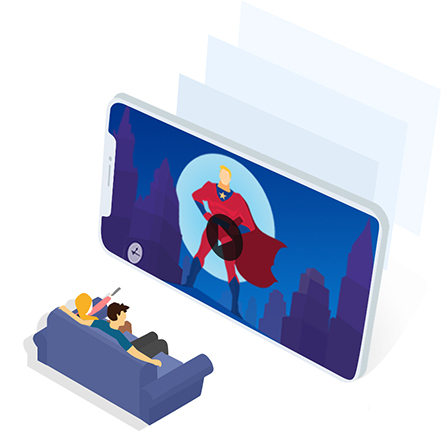 You can manage all your movies, funny video clips, music videos, TV shows, iTunes U in easy drag-and-drop. Besides transferring media files, AnyTrans helps you empower all your images to tell your best life stories. Meanwhile it's now also a single-click task to transfer associated files and game records beneath your apps, as well as many more other types of iPhone files like e-books, messages, contacts and notes, to computer or another iDevice.